Growing up, I was never a "mama's girl" nor was I close to my tatay, maybe it was the reason I didn't turn to them during my angst-ridden teen years. I kept up my frustration and anger all to myself preferring to be "alone" and solving problems myself. And if I got into some trouble that would irk them both, I got punishment from those, it was either getting "grounded" on weekends or "mapapalo". I often got hurt hit by a flying tsinelas, slapped by a belt, a cloth hanger, cane, and if i really did something terrible--masasakit na salita--which was far more painful. They were never my friends during my growing up years, but I think that actually helped me become stronger. Like most teens at that time, Siguro sensitive lang yata talaga ako noon. 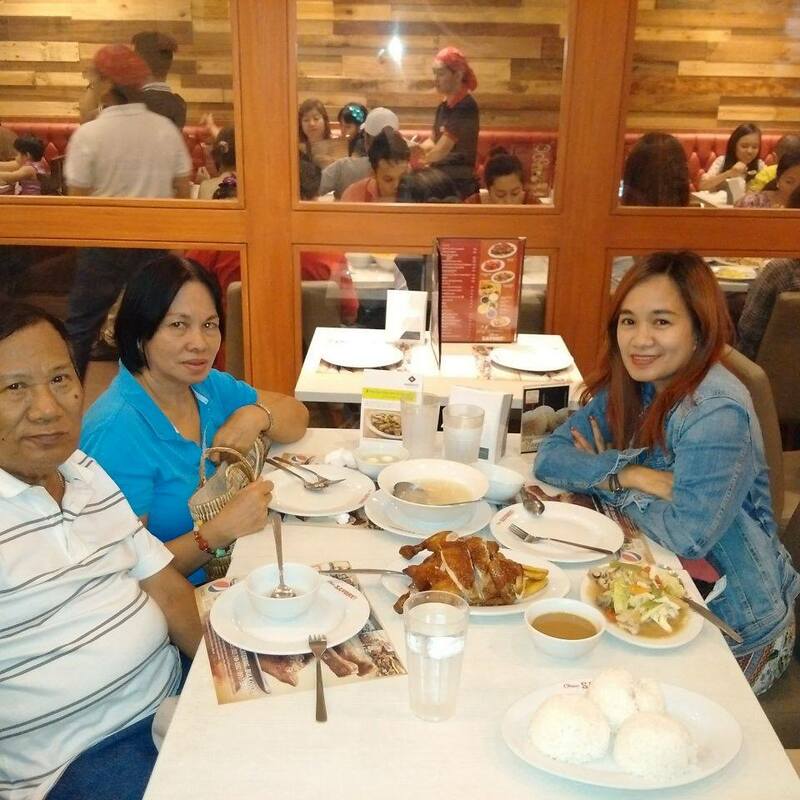 I would always be grateful because they are my parents and that I should love them for that. Until, a personal problem came up, 6 years ago. I remember texting my mother and telling her my side of story. I never received any negative comments from her, except pure love and support. I cried and called her up just to tell her na "Thank you for listening nay. Wala akong kaibigan, pasensya na if madrama ako". Naiiyak tuloy ako habang sinusulat ko to. Hindi kami naging close ng nanay ko nung bata pa ako, because she was busy defending me from my father's wrath. I admit matigas talaga ulo ko before. I would always get what I wanted which led me into trouble. 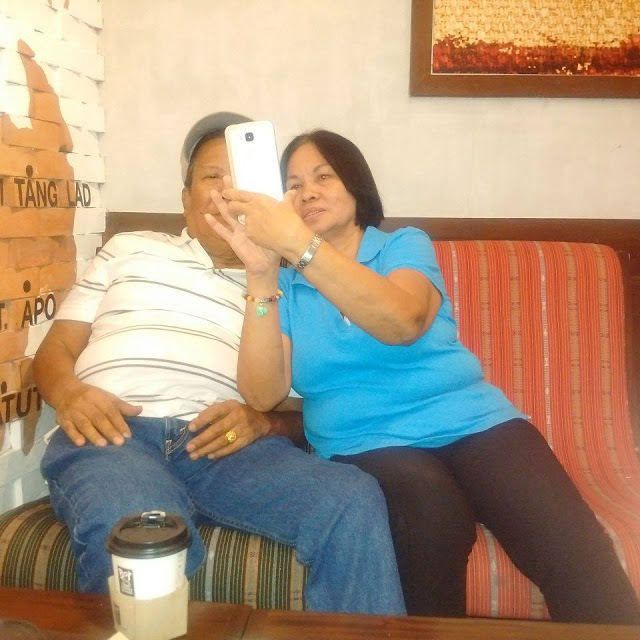 Di ko na appreciate yung time na naging close sana kmi ng nanay ko nung bata pa ako. Ngayon lang talaga. Sya ang naging takbuhan ko kapag wala ako pera, kapag naolats ako sa lovelife, kapag may mga decision akong palpak. Nanay ko lang andyan, di nagsasawa umintindi at magmahal sa ken. Kahit ilang beses ako magkamali, lagi nyang sinasabi, habang may buhay may pag asa. Na kapag nadapa, bangon ule. I started to appreciate my nanay during my problematic years,and up to this day, nagsisisi ako bakit di kami ganun naging ka close nung bata pa ako. 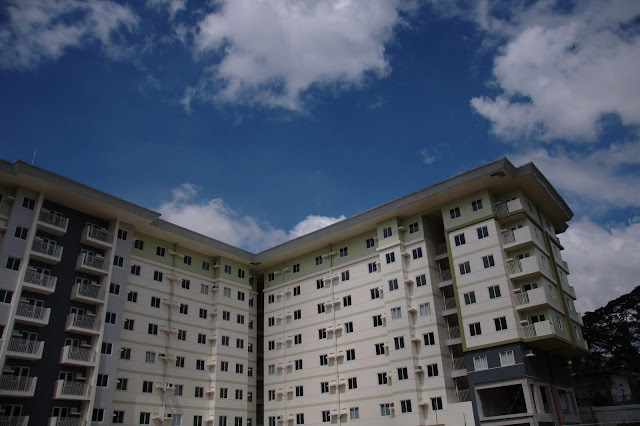 Sana naging maganda ngayon ang buhay ko. Pero sabi nga niya, habang buhay may pagasa. I can't thank her enough for her support and empathy. My mother is the strongest person Ive met. She never took "No" for an answer, she always found a way to make both ends meet. She cooks the best "mechado" and "adobong pusit" which my siblings and kids love. She's the one who thought me what I have to eat. She always told me how beautiful I am and still look young for my age, which of course I believe..hahaha. She told me, she was thankful for bringing me up "tough and always ready for the storm" whatever that is. I guess, I got my strength of character from her. Sayang lang di ko namana yung pagiging matiisin nya. Hindi ko nga alam kung anu ibbgay ko sa kanya this mother's day. Baka siguro fitflops or Havaianas kase favorite nya yun eh. Pero sabi nya basta magkasama lang daw kami ay okay na. Nanay ko talaga madrama hahaha yun ang namana ko sa kanya. Thank you Nay, I am praying for your good health long life and wisdom. Running out of ways to say Thanks? 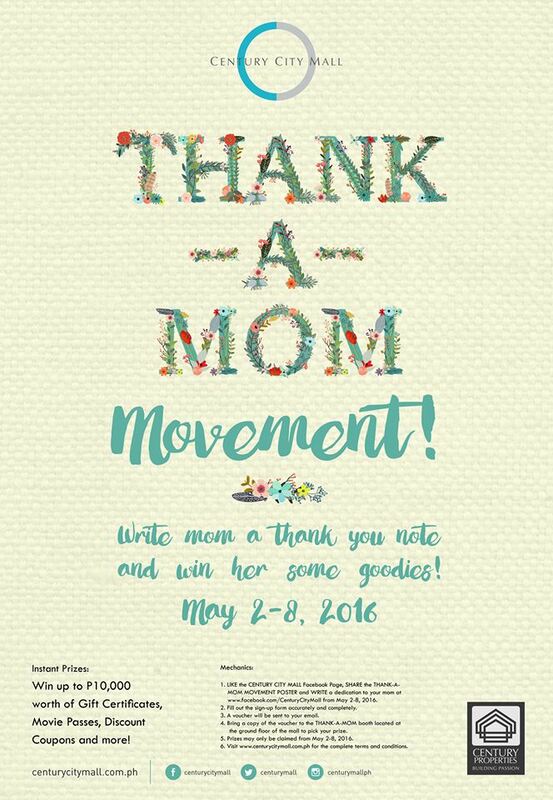 Century City Mall will help you with that Thank-You’s to your mom with a bit of surprise along the way. Here’s how. 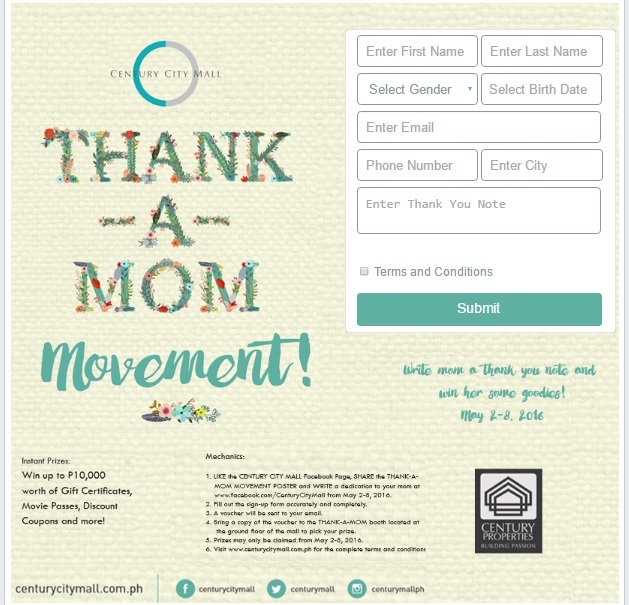 5.Visit www.centurycitymall.com.ph for complete terms and conditions.